Rome wasn’t built in a day. It took years of planning to create one of the world's most historic cities in history. Starting to create your very own town is much easier today with the help of Lego. Their City collection is by far the largest collection to date and has something for every nuance of your growing metropolis. From harbor patrol to hospitals, crooks to police officers, Lego City is your go to collection if you want to create a sprawling empire! But where does an aspiring architect or city planner start? 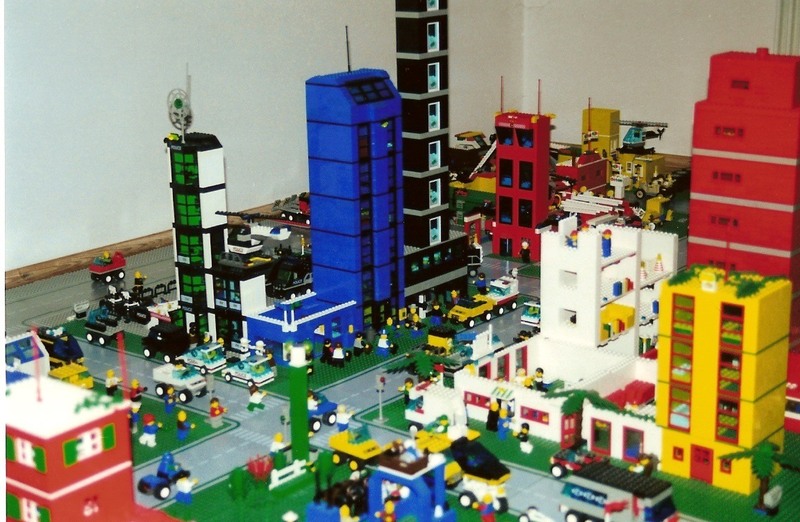 What sets do you absolutely need to construct the perfect cityscape? We’ve got the answer for you with our top 6 Most Beneficial Lego City Sets to Expand your Personalized Metropolis. (And believe me, picking just 6 was excruciating because there are so many that add to this city collection). The City Square set from Lego has everything you need to start building your Lego settlement. With 1683 pieces, this square is filled with great details. It comes with 12 mini figures from store owners to hot dog vendors and has a ton of accessories. The tram, delivery truck and bike will help get your new citizens from place to place. A coffee shop and hot dog stand are sweet additions to the set as well. The two best parts of this set are the car dealership with sliding transparent doors and a functioning service station and the Lego shop, a great tribute to the best brick builder in history. You can’t have a functioning township without some much-needed law enforcement. Crooks will find your growing city a haven for theft, so slow them down with the Lego City Police Station. The station comes with 7 mini fi﻿﻿gures and a police dog to help sniff out those bad guys. With its 3-level construction, there are 2 jail cells complete with toilets, a garage, and a watch tower. With a cool exploding wall feature for those jailbirds to escape from and a getaway vehicle as well, re-enactments are abounding. The police station also has office space, a rooftop helipad, and a garage to complete its layout. The police station and fire station go hand in hand. For the betterment of society, the Lego City Fire Station will keep your buildings safe and those cute kittens out of trees. This revamped set includes 6 mini figures and over 900 pieces. With 3 modular sections, the fire station accommodates a firetruck with a cherry picker, the chiefs’ cars, and even a helicopter. You will find lots of accessories in this set too. From a coffee machine to keep your firefighters awake, to axes, saws, and a fire extinguisher, this set will put a smile on your face the moment you start unpackaging the pieces. Did I mention it comes with a fire pole and a stud shooting hose? Super Sweet!!! We’ve all heard about Alcatraz and how the most dangerous criminals were shipped there. Now it's time to add your very own prison island to your bustling town. This set is a must have for both history buffs and Lego architects alike. With 754 pieces and 8 mini figure, the Lego City Prison Island gives hours of enjoyment. The 2-level structure comes with a guard tower, prison yard, jail cells and 2 escape routes. With security cameras and searchlights, those pesky prisoners won’t get far whether they make it to the crooks’ boat or the hot air balloon. The cops will be right on their tails in the police helicopter and powerboat. If law enforcement doesn’t capture the crooks, the sharks will! Although this set isn’t a necessity for keeping your town safe or building up businesses, it has got to be the COOLEST city set created by Lego to date! I mean who doesn’t want to build a submarine or explore a shipwreck? Sign me up for both, please! The Deep-Sea Explorers Exploration Vessel has 3 amazing builds in one. You’ll find the exploration vessel, a shipwreck, and a submarine component. And the marine life!!! This set is chalk full of underwater creatures including an octopus, sharks and a swordfish, not to mention seaweed. It’s a medium to large size build at 717 pieces and comes with 7 mini figures. You’ll be hard-pressed to find anything not drool worthy about this set. From the scuba scooter to the 16 gold bars, this city set is one of the most unparalleled sets out there. Call me the Sheldon Cooper of Lego if you must, but the best Lego City set to own unquestionably, has got to be the High-Speed Passenger Train. This set is fully functional and has 610 pieces to build and create your very own railway system. 3 mini figures come in the set along with a weigh station, bike, train route map and lights with crossing arms. I think the coolest part about the High-Speed Passenger Train set is the ability to add and reconfigure the tracks. You can purchase flexible/straight tracks and switching tracks over and above the set to create a railway system the curves through your entire town. With an 8 channel, 7 speed infrared remote control, this set will give you years of entertainment. With so many sets in the Lego City collection, you can start anywhere to build your own perfect little civic center. Vehicles, structures, and amenities in every size, builders level and price range will only expand your ideas about how you are going to set up each detail. Start with what moves you the most and soon enough you will have your own modern day Rome!